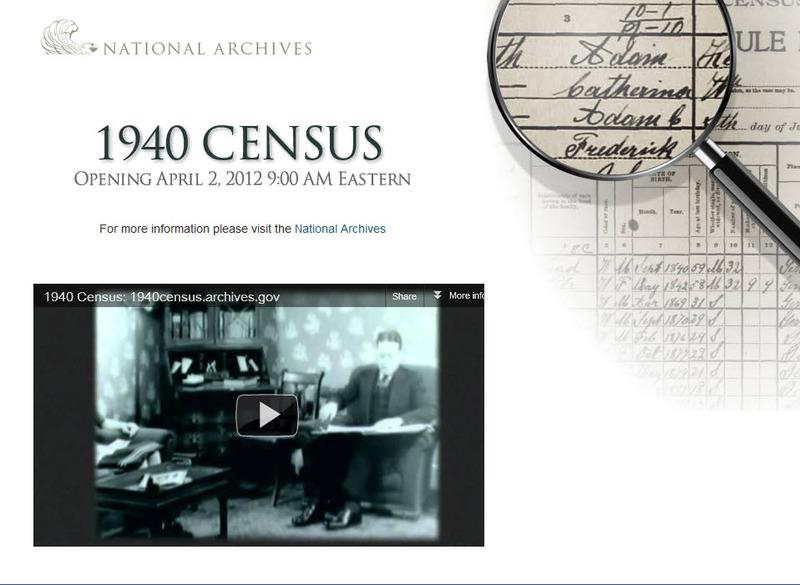 On April 2nd, after a long wait of 72 years, the 1940 census will be released, and in a historic first, the collection will emerge online in digitized form. 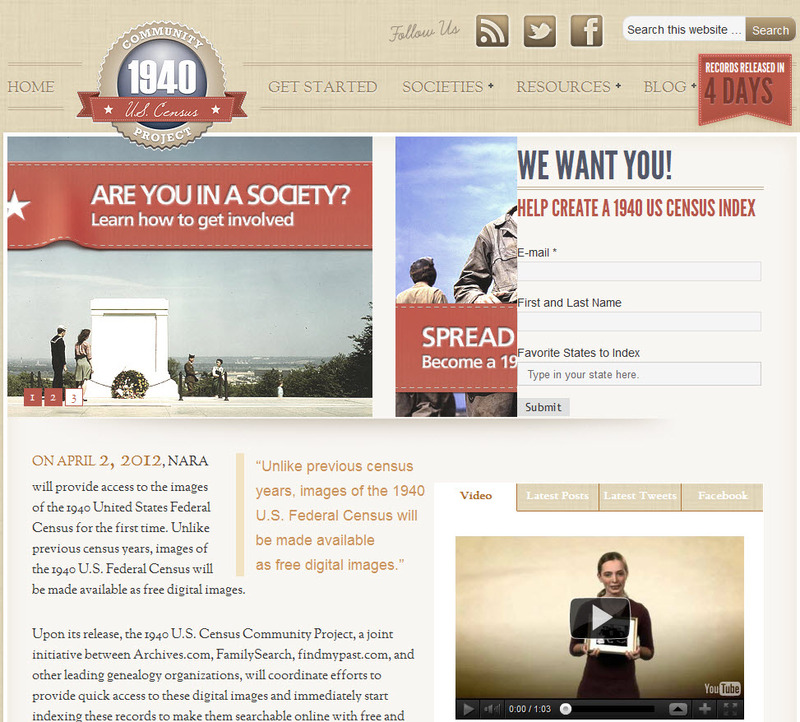 Last year, the National Archives and Records Administration selected Archives.com to build and host a website (see above) for the 3.8 images containing details about 132 million Americans. Best of all, this remarkable snapshot of a nation still recovering from the Great Depression and not yet aware of its approaching entry into World War II will be free. 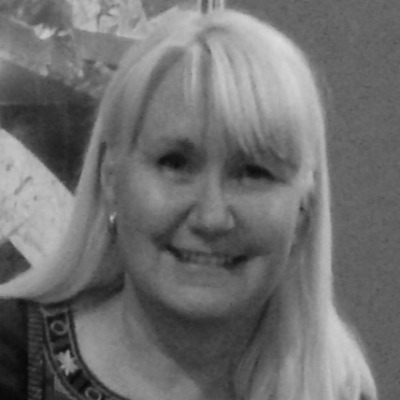 So important are these records that genealogists and historians have been counting down the days for the past year and speculation is high that the 1940 census website will crash, though every precaution has been taken to prevent such an occurrence. An estimated 21 million Americans are finally old enough to be able to find themselves in the census, while others will have the pleasure of spotting their parents or grandparents for the first time. Each household entry will paint a family portrait that includes names, ages, relationships, birth places, occupations, education, residence (in 1935 and 1940) and more. The year 1940 was a time of transition and the census will capture that. Millions whose family histories were considerably altered by the Dust Bowl and Great Migrations, not to mention the dash to the big city in pursuit of opportunities (Detroit with its burgeoning automotive industry comes to mind), will find concrete evidence of these pivotal moments. And while many of the 40 percent of Americans of Ellis Island heritage will see their immigrant ancestors in these records for the last time, those whose families escaped the turmoil in Europe in the 1930s will spy their "old country" relatives for the first time. There's just one, small catch. According to the law, no one could have access to these records before their release, so there's no index. That's not an insurmountable problem as the website will include finding aids for those who know where their families lived in April 1940 (if you're not sure, ask relatives, look for old letters, official documents and newspaper articles that might include addresses, or check city and phone directories for relevant locations). But for those who would prefer to simply search by entering Grandpa's name, there will be an index before long. And rather appropriately, it's being done on a collaborative and volunteer basis. Archives.com, FamilySearch and findmypast.com have all teamed up to sponsor The 1940 U.S. Census Community Project to encourage as many people as possible to help index the census to improve accessibility for all. Moreover, all three organizations have committed to provide these name-indexes free on their respective websites. Volunteering for this project could be considered a form of national service, which is fitting since the Greatest Generation - one largely defined by contribution and sacrifice -- will be so prominently featured. Simply put, this is a chance for the latest generations to give back to the Greatest Generation by ensuring that their records will be easily found not just by their descendants today, but for generations to come. As of this writing, more than 90,000 have volunteered, but the more who volunteer, the more swiftly all of us will have access to an every-name index of the entire 1940 census, so I hope at least some reading this will consider joining the already-enlisted. And what will you be doing if you sign up? You'll be recording the basic details (e.g., house numbers, names, ages, gender, etc.) listed on pages of the actual census. "Indexing" is the word that's used, but to me, it's a form of time travel. As you "index" a page, you'll essentially be stepping back in time and walking down a street in 1940 with one of the 120,000 census enumerators. As you shadow him or her, you'll be virtually knocking on each door and noting the particulars of the family who lives in each residence. And as you do so, you'll be giving each family a small gift of posterity. By indexing their names and other specifics, you will actually be "making" history. The process is fun and easy (there are videos in case you need help) and the project is meaningful and enduring. Better yet, you can do it at home in your spare time. You can even make history in your pj's, if you're so inclined, so please consider donating small chunks of your time to help us all reach the finish line faster.